Ishkabibble and Booshkens at the petting zoo! 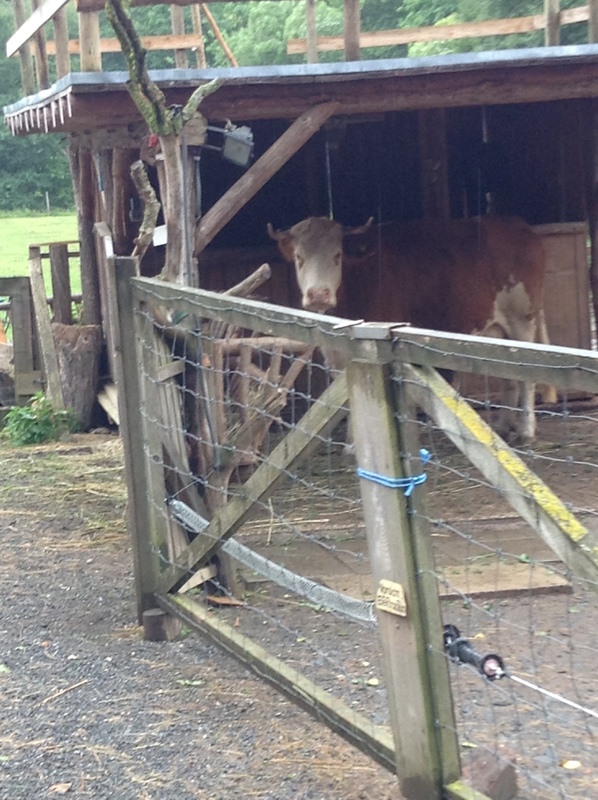 Today we went to a petting zoo called Naturwinkl Saufuss! They find birds that are injured in the wild, and then bring Them to the petting zoo until they recover and set them free! But they also have other animals. Such as Chickens, Horses, Cows, Goats, Bunnies, Guinea Pigs, normal pigs! ETC… Paris found a Chick that had escaped from the others And started to freak out because he (or she) couldn’t find the way back. S.W.M.B.O. 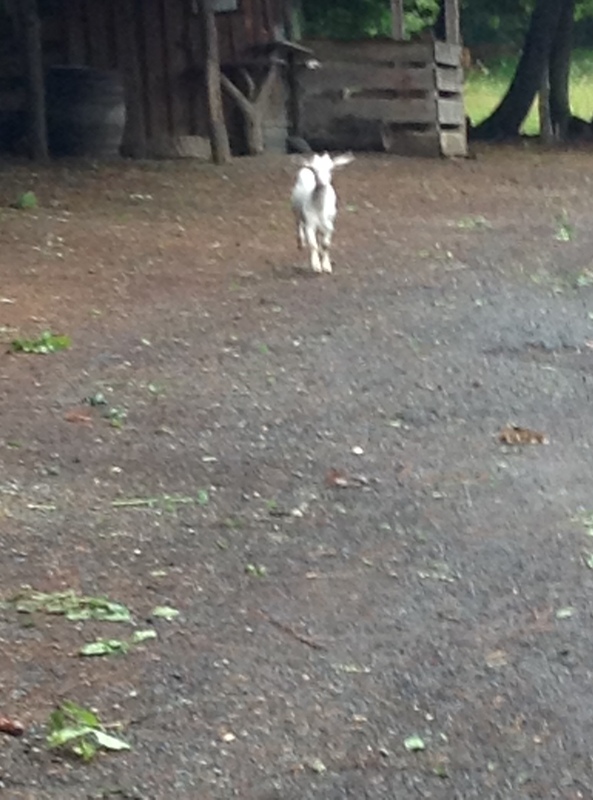 found a goat jumping on a barrel and a shelve! It nearly jumped on Fahbio! She-Who-Must-Be-Obeyed said good thing It DIDN’T jump on him. But then, what I just HATE is that the Goat Actually jumped up on ME like a dog!!! Only-Boy just LOVES the Rabbits! Every time he sees one He tries too pet it or feed it. And does not let us come near him Or the bunny! Paris likes to try to Feed the Goat and the cow! She called the cow Besie! She thinks it’s a very cowish name! And Only-Boy named the goat Booshkens! 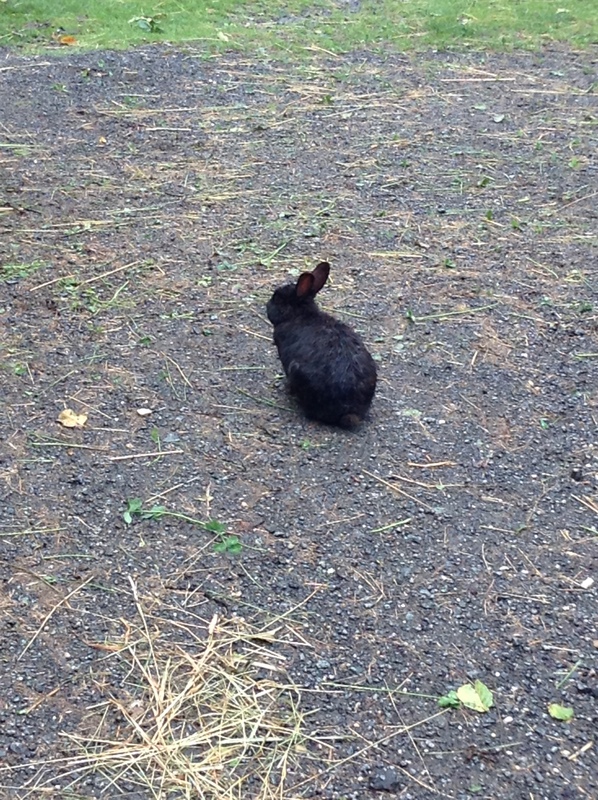 I called a rabbit Ishkabibble ( completely Black!) Booshkens and Ishkabibble, yes very nice names aren’t they? I saw a miniature pony, and it’s front legs were twitching like mad! But it’s back left leg was PURPLE! And it had a cut that looked bad,So S.W.M.B.O. thinks the purple stuff was to disinfect it. I felt sorry for him or her. We sadly did not get too see the birds because it was locked. :3( But other then that we had a great time! This bear wasn’t at the petting zoo! 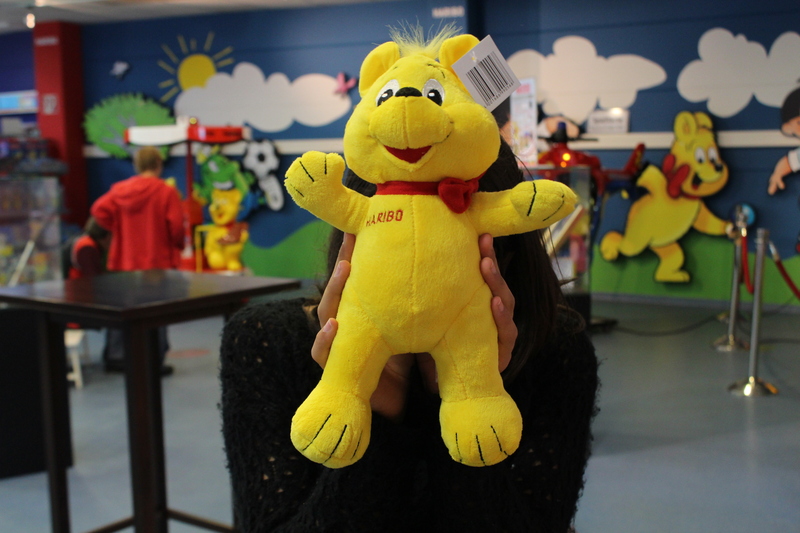 ( Haribo teddy-bear from the factory! ) Something totally different! So glad you wrote a blog post again Venice. I so enjoy hearing all about your wonderful trip.